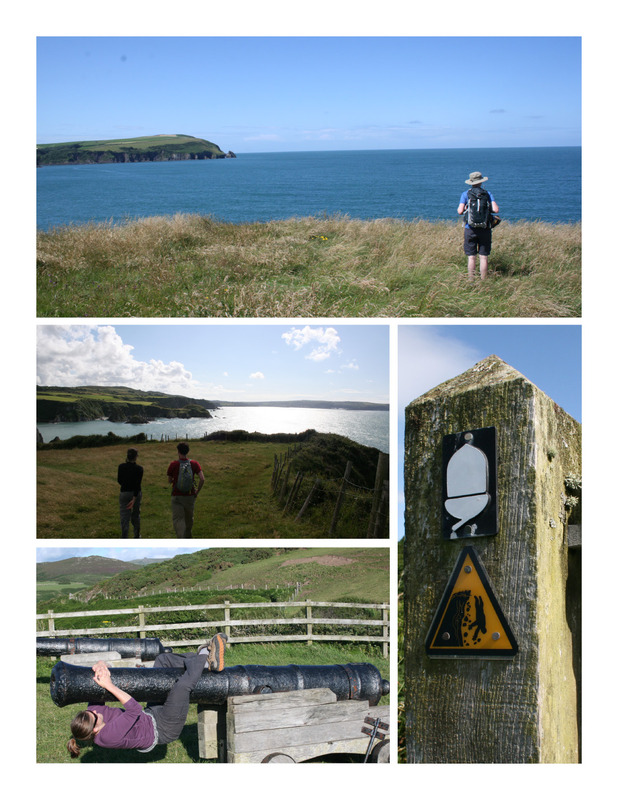 Our first day in Wales was a fantastic, sunny, perfect (if brisk) day, and I rallied the six of us to a strike out on an all-day hike – one leg of the Pembrokeshire Coast Path, or about 12 (surprisingly rigorous) miles from Newport to Fishguard. I would love to go back and do a larger chunk of it (minus the days that take you past the big industrial sections); I think it would be so fun to go from town to town along the Welsh coast, which is beautiful, and finish each night in a pub. I love love love the picture of Dom looking out over the coastline. I think that he may be perpetuating the American Anglophile stereotype of Brits on holiday.